IF you asked most people what a heavy metal rocker’s favourite food is, they’d probably take a stab at a rare steak, or even a raw one. 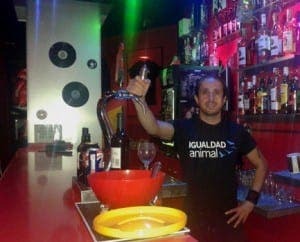 So imagine the surprise when Juanma Madrid opened Afrika Vegan Rock Bar in Almunecar. Serving up homemade hummus, ‘eggless’ Spanish omelettes and pickled aubergines, Juanma hopes the bar will become a hit with the rock community. “I wanted to create an alternative space,” said Juanma. 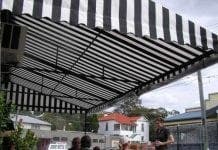 “A place for music fans to enjoy their favourite music, meet like-minded people and just feel like at home.